Every yard needs at least one Viburnum species (if not more). 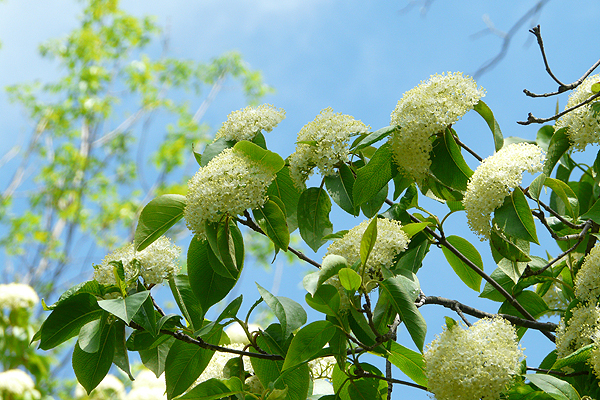 Native Viburnums bloom in spring with a fantastic display of large white flowers that offer plentiful support to early season pollinators. The prolific flowering gives way to abundant fruits that are highly attractive to birds. Cardinals, Eastern Bluebirds, Robins and Cedar Waxwings are just a few of the birds that will visit Viburnums. 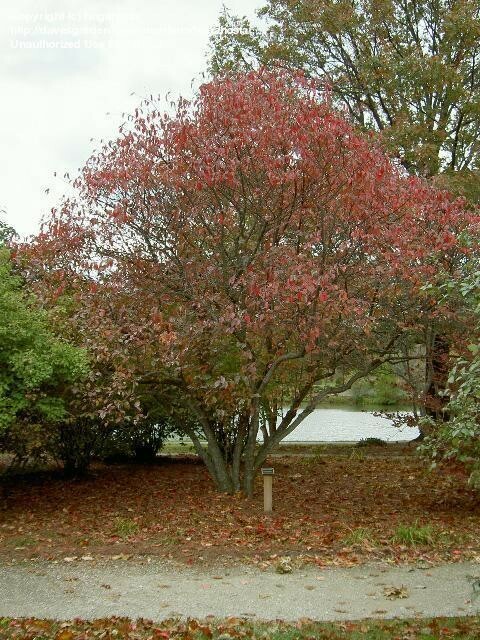 In autumn, Viburnum leaves turn a range of colors from gold to burgundy or red to purple. Throughout the growing season Viburnums can host an array of leopidoptera – butterflies and moths – including the Holly Blue Butterfly (Celastrina argiolus). Sami cynthia (a large silkmoth), Daraspa choerlius (a sphinx moth), and Hemaris thisbe (the Hummingbird Clearwing moth) are all known to host on Viburnums during their caterpillar phase, and overwinter in the leaf litter. The presence of these caterpillars is yet another reason the shrubs are popular with birds, as the juicy caterpillars are a preferred food of nesting birds with chicks to feed. One of the largest Viburnum shrubs Nannyberry (Viburnum lentago) is very adaptable and grows well in a wide range soil conditions. It can be found growing natively in low woods or near stream banks in full to partial sun. Abundant Nannyberry flowers in May benefit early-season pollinators. Nannyberry fruit is a preferred food source for migrating birds – and beautiful, too. 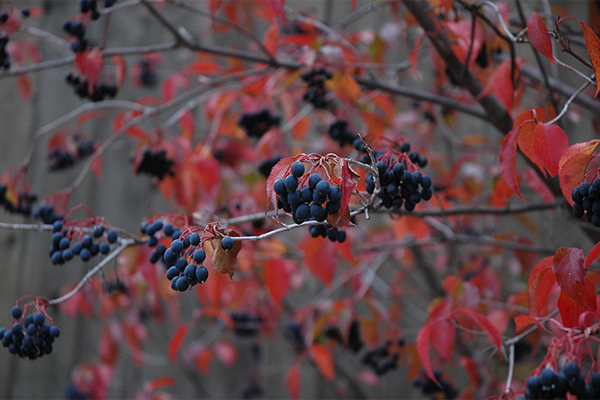 The native Highbush Cranberry (Viburnum trilobum) is smaller than Nannyberry, but a remarkable wildlife shrub all the same. 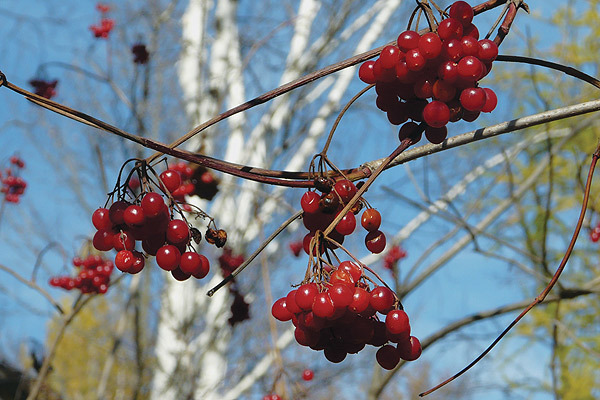 Plentiful spring blossoms benefit pollinators, and the fruits of Highbush Cranberry will persist into the winter, adding bright red highlights to a stark landscape. Eventually all will be consumed for critical sustenance, if not by winter birds, then by early spring migrants. 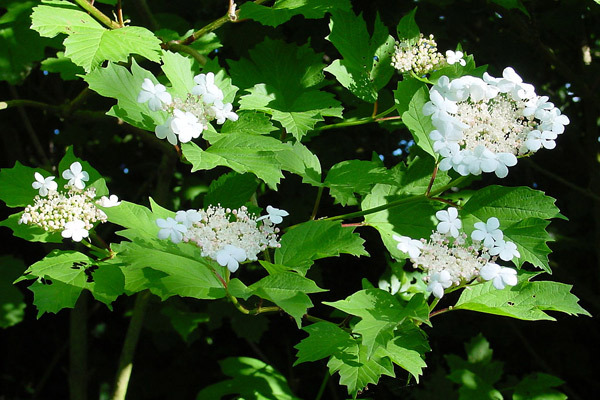 Viburnum trilobum blooms in May – June. The fruit of Vibrunum trilobum persists into winter and will eventually be eaten, if not by winter birds, then by early spring migrants. 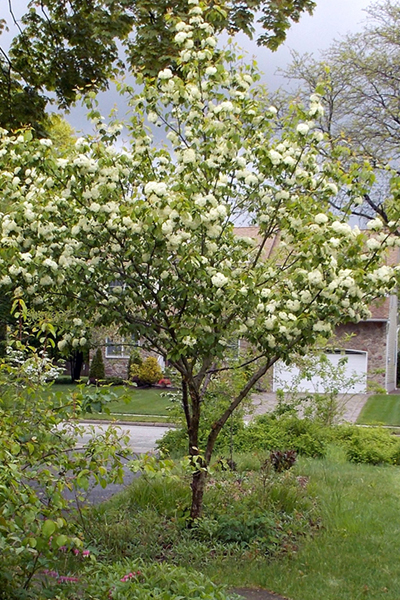 Blackhaw (Viburnum prunifolium) is a forest understory shrub that also grows well in full sun. A landscape favorite, this viburnum has all of the wildlife power of the above two species. Somewhat smaller than Nannyberry, it has an especially beautiful form, often with one or more trunks and slender arching branches. It can be pruned to a single trunk form as well.